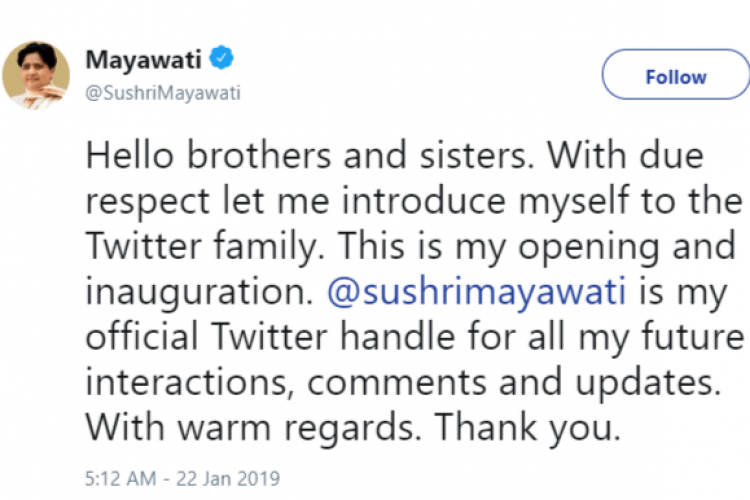 Just before the 2019 Lok Sabha elections, the chief of BSP, Mayawati has entered the world of Twitter. In her first post on the platform, she said that she'll use this account for all her future interactions, comments, and updates. Her first post was written on 22nd January in the evening. On her joining Twitter, RJD leader, Tejashwi Yadav said he is glad to see her on Twitter and thanked for acknowledging his request.